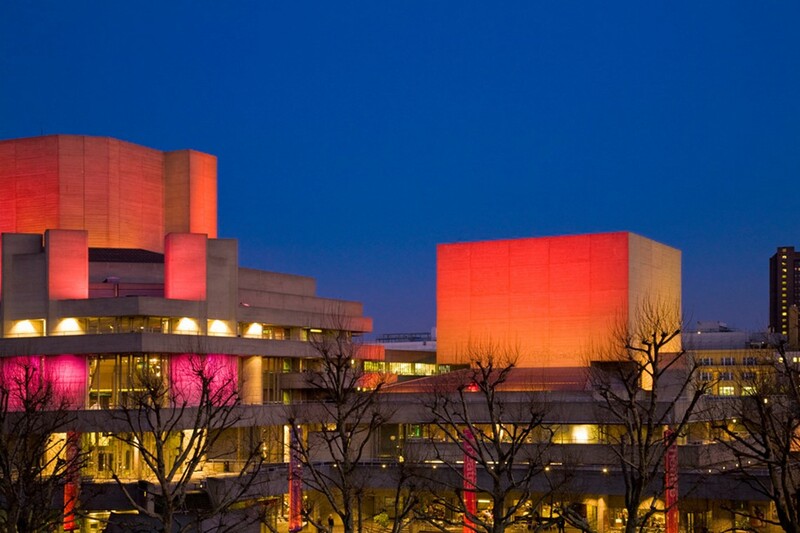 The National Theatre is one of the UK’s three biggest publicly-funded arts venues, producing internationally renowned theatre throughout the year. The theatre is situated on London’s Southbank, besides the River Thames, and is commonly regarded as one of the most prestigious theatres in the country. The National company was originally based at The Old Vic theatre in Waterloo, before moving to the new building in 1976. Its work is not only seen by large audiences at its resident theatre, but also tours throughout the UK and internationally, collaborating and co-producing with theatres across the globe. The National Theatre has three main spaces, all individually named after famous figures associated with the company: the Olivier Theatre, after the actor Laurence Olivier, has 1,160 seats; the Lyttelton Theatre, after the first board chairman Oliver Lyttelton, has 890 seats; and the Dorfman Theatre, after famous philanthropist Lloyd Dorfman, has 400 seats. The Grade II listed building is recognised for its ‘broken-shape’ architecture and also has many café and bar areas. The National Theatre is a dedicated theatre company producing eclectic work all year-round, taking part in educational courses and producing the National Theatre Live programme, which broadcasts its productions to 2,000 cinemas in 55 countries worldwide to bring some of the best British theatre to the international stage. Underground: The closest Tube stations are Waterloo (on the Northern, Bakerloo & Jubilee lines), Southwark (on the Jubilee line) or walk over the Hungerford Bridge from Embankment (on the Northern, Bakerloo, District and Circle lines). Bicycle Racks: There are bicycle racks outside the Espresso Bar at the corner of Theatre Square on the North-West side of the National, and opposite the Dorfman Theatre on the East side. Buses: All the following buses cross Waterloo Bridge: 1, 4, 26, 59, 68, 76, 139, 168, 171, 172, 176, 188, 243, 341, 521, X68, Riverside Bus (RV1 – which also stops on Upper Ground which runs by the back of the National Theatre). 77 (Upper Ground near the Festival Hall), 211 & 507 (Waterloo Road near Waterloo station), 381 (Stamford Street). 45, 63 & 100 all stop at the southern end of Blackfriars Bridge, and there is a 10 minute walk along the riverside to the National. Stationlink provide a fully accessible, low-floor bus service stopping at Waterloo. Route 705 runs every 30 minutes, linking Liverpool Street, Fenchurch Street, London Bridge, Waterloo, St Thomas' Hospital, Victoria, Victoria Coach Station and Paddington. Car Park – National Theatre basement, accessed from Upper Ground Opening times: 6am to 12 midnight (Mon – Fri) and 7am to 12 midnight (Sat and Sun) Please note: on Sunday when the NT building is closed there is no step-free access from the car park. The entrance ramp to the car park is at the south-west corner of the National Theatre, on Upper Ground, by Theatre Avenue (the road between the National Theatre and the British Film Institute). Spaces in the basement car park are £8.00 after 5pm or if you attend a daytime ticketed event and leave before 7pm. Combined matinee and evening show rate £14.00. Validation must be obtained from the Box Office. Sundays/public holidays: £8.00 all day, no validation required. Early Bird offer: Mon – Fri arrive between 06:00 and 09:30, and leave 18:30 for £10 Blue Badge holders Blue Badge holders and those with access requirements can be dropped off at the top of Theatre Avenue (the road between the British Film Institute and the National Theatre), before parking in the car park; there will be a very limited number of spaces for oversized vehicles only above ground. These spaces need to be booked ahead of your visit with the Box Office on 020 7452 3000 Free parking is available in the NT Car Park for Blue Badge holders attending a performance or eating at the National. When attending a performance, or dining at an NT restaurant, Blue Badge holders can park anywhere in the car park and there are spaces near the lifts reserved for use by disabled people. There is a ramped entrance with semi-automatic doors to the basement foyer and lifts. For free parking, Blue Badge holders should take their badge, theatre ticket and car park ticket to any Box Office in the foyers for validation, prior to leaving. Restaurants, cafés and bars can be found throughout the building, most with al fresco seating overlooking the vibrant South Bank. Seasonal and best quality ingredients are used to create a wide range of food and drink.